Creating a green living area when remodeling or building anew, can feel overwhelming because “going green” is more than a philosophy. It incorporates the structure, the design, the materials, and even the way the project reacts with the sun’s path. 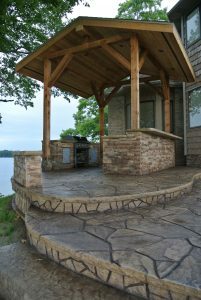 Don’t let that deter you from having your architect help you create an eco-friendly outdoor addition. Green porches, decks, and patios can be environmentally friendly. Here are a few tips to help you move in the right direction. Outdoor tiles now come in a wide variety of colors, styles, textures, and materials; so many infact, that it can often be confusing to know what type of tiles can be used where. The tiles need to be sufficiently durable to withstand weather and traffic, hard enough to resist extreme weather, and suitably strong to last for years. 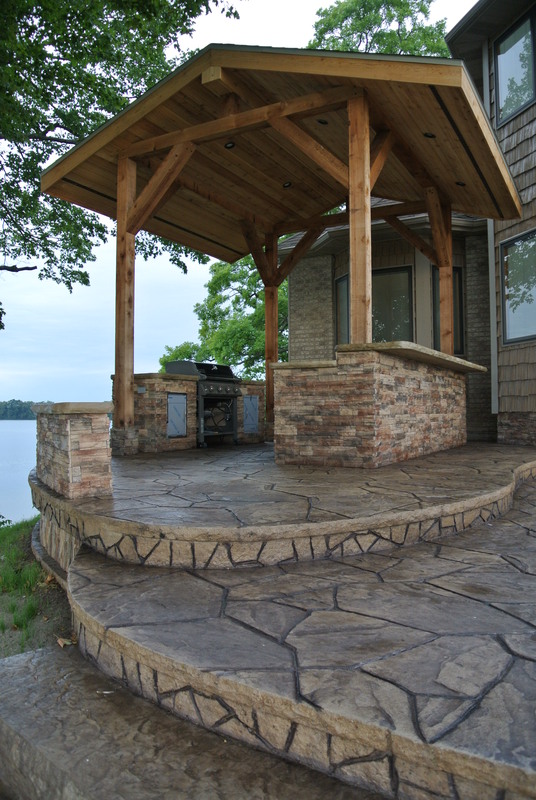 Homeowners also want a masonry product that compliments their home’s style, yet is still functional and hard-wearing. Porcelain, slate, and travertine all have new looks and styles, so here are some helpful hints about choosing between the tiles. Flowers, shrubs and trees have long been the backbone of a beautiful yard but they aren’t the only way to create something gorgeous. In recent years, hardscaping has become quite popular and for good reason. Check out these gorgeous ways to add hardscapes to your yard. When it comes to choosing flooring, materials like ceramic, carpet and hardwood likely come to mind. These tried and true materials have been used in homes for years, though each of these materials has its own pros and cons. However, polished concrete is becoming an increasingly popular alternative to these traditional flooring choices. No longer just for sidewalks and buildings, consider the benefits of this medium for your next flooring project. 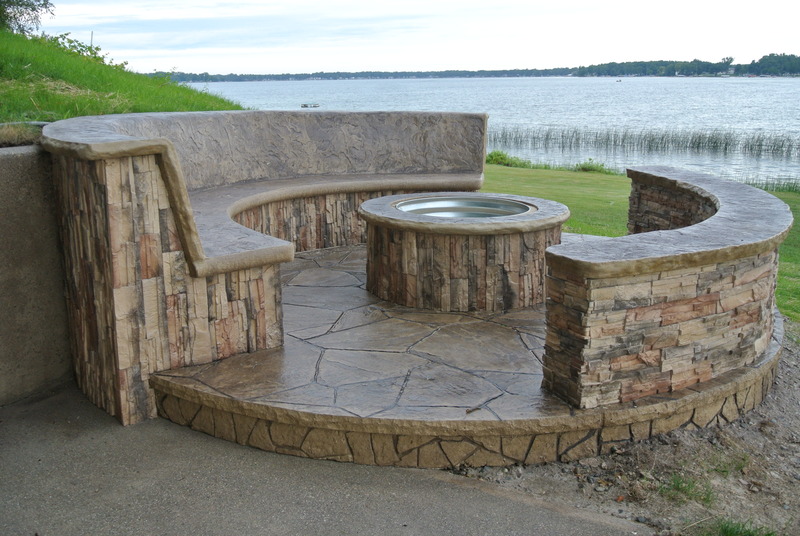 Making your concrete colorful has the potential to make something that is normally basic that much more appealing. It is important to learn about the different options available in order to make the best selection. Below are some tips about different projects you can pursue to make your concrete hardscape a little more aesthetically pleasing. Hardscaping can be used in addition to traditional landscaping to create an attractive environ around your house. More people are becoming interested in hardscaping as it is newer and can built on already landscaped designs. Hardscape design is multifaceted, which makes it a versatile option for a plethora of outdoor projects. Hardscaping professionals often have intimate knowledge of landscaping which can make them quite useful for various projects around your property. 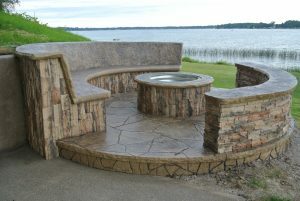 Hardscapers are handymen who can accomplish most outdoors design projects that you can envision. There are many different projects that hardscapers can help you with. For example you could have them design a statue of some sort, a pit for your barbeque or even interesting walls and fences. Hardscapers have experience in the field of designing outdoors projects, which makes them uniquely qualified to complete various number of projects beyond the normal scope of mere pavers and walkways. If you ask for design help from a hardscaper, they may tell you that there are two rules of thumbs in hardscape design: houses surrounded by nature should work with hard lines whereas other houses should have soft lines billowing around them. The reason why the first type of houses get straight lines is to differentiate them from their surroundings, which is natural and curvy. In contrast, other houses are typically engulfed by hard lines already, like the planned rigid lines of the city, and would look better if contrasted. These design moves can be discussed at greater length with hardscape professionals to achieve the best results for your project. An additional advantage of working with hardscaping professionals is that they typically have gained their experience in hardscape design from working as a traditional landscaper. That means that their projects need not be exclusively hardscaping. Instead, hardscaping professionals can be relied on to incorporate the best elements of landscaping with their intimate knowledge of hardscaping. If you want to have the greenest lawn on the block this summer, early spring is the best time to start your preparations. Starting your lawn care now can give you a head start, and it can ensure that your lawn has a good foundation for later when the weather gets hot. Check out these tips for improving your lawn’s appearance. A more prevalent style of home improvement nowadays is to complement your landscaping with some nice hardscaping. As opposed to maintaining plants and gardens, the term hardscape refers to the addition of human artifices to decorate your lawn or garden. One of the most common methods of doing this is by adding stone structures like walls and path, hence the ‘hard’ in hardscaping. You can use hardscaping to improve your house by finding pleasing varieties of different types of stone and arranging them in an appropriate way. Grading your lawn can enhance the health of your landscape and ensure the safety of your home especially if your landscape has water and drainage issues. When it comes to fixing a landscape drainage problem, lawn grading is often a great solution that will ensure that the soil and area surrounding your home, receives the proper amount of water, no more and no less. If your landscape is susceptible to flooding, landscape sloping and grading is often considered to provide a drainage pathway for the excess water. Dangers with improper drainage include muddy lawns, poor crop growth, flooded basements, and many other issues for homeowners.